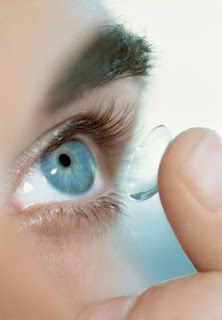 Stretching the One Income Dollar: Thinking About Trying Contact Lenses? There comes a time in every glass wearer’s life that they wonder about trying out contacts for the very first time. Many people are afraid to try contacts for the very first time, but they shouldn't be. Here are some reasons why you should try out contacts, even if you never have before. There is a great variety of contacts out there these days. If you look at places such as Clearly Contacts you will be impressed with the selection. You can choose from a vast array of contacts that are designed to fit many eye conditions, including astigmatism and sensitivity. Many people worry about having to keep their contacts clean. Yes it is true that with some contacts you have to wash them in a solution after wearing them, but that is not always the case. With daily contacts you can simply open up a new pair every day, and throw them out when you are done with them. These are great for people who don’t want to worry about cleaning or have sensitive eyes. Many people with glasses can attest that they can be a hindrance when you are participating in sports. With many sports you are running the risk of getting your glasses broken. Wearing glasses is almost next to impossible when in the water. For some of us we can’t simply take off our glasses when going into the pool, without getting nausea. Contacts however make all of that much easier, allowing you to see. One of the problems with wearing glasses in the summer time is the sun glare. Oftentimes you will see people with glasses driving with their hand acting like a visor, protecting them from the sun. Sometimes, people will try to squeeze a pair of sunglasses on top of their existing glasses to great comic effect. With contacts you do not have these problems. You can easily slip on your favorite pair of sunglasses and go out to face the day. Some of us do not remember how we looked like before our glasses, especially if we have been wearing them for a long time. They feature prominently in every photo of us. Wouldn't it be fun, to actually be able to see what you look like without glasses? Contacts can help you see ‘you’.